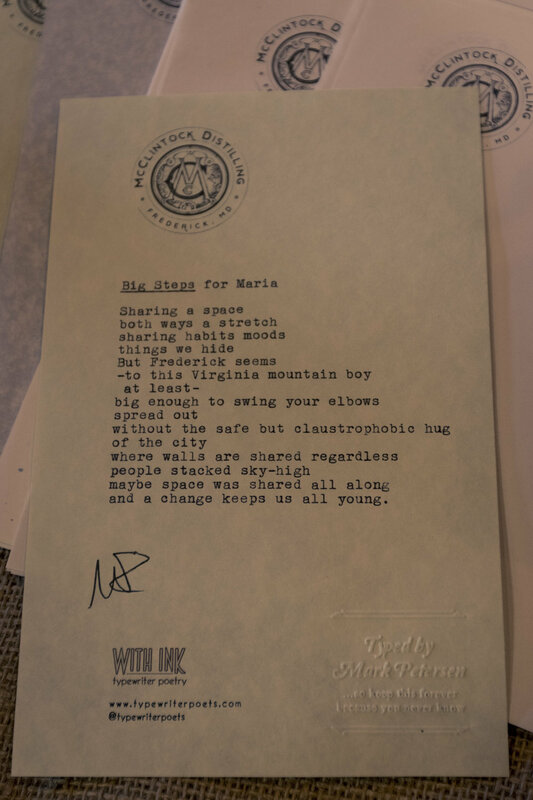 Together, Mark Petersen and I are the Typewriter Poets team. This past Saturday, we were honored to participate in McClintock Distilling's Rye release party. It started off with a bang, eager fans ready for their whiskey in a line stretching up the hill and down the street. There was a whole smoked pig provided by P.I.G.S barbecue, as well as delicious cocktail mixers provided by The Sweet Farm (I picked up some of their delicious Strawberry Ginger Beer) and Element Shrub. We wrote poems from 12-8 and met many wonderful people throughout the day. The Distillery employees were awesome and generous people, as were the guests! We loved getting to know a whole heap of people and writing poems to celebrate their dogs, encourage them during a tough season, honor their engagement stories, or simply join them in a laugh. 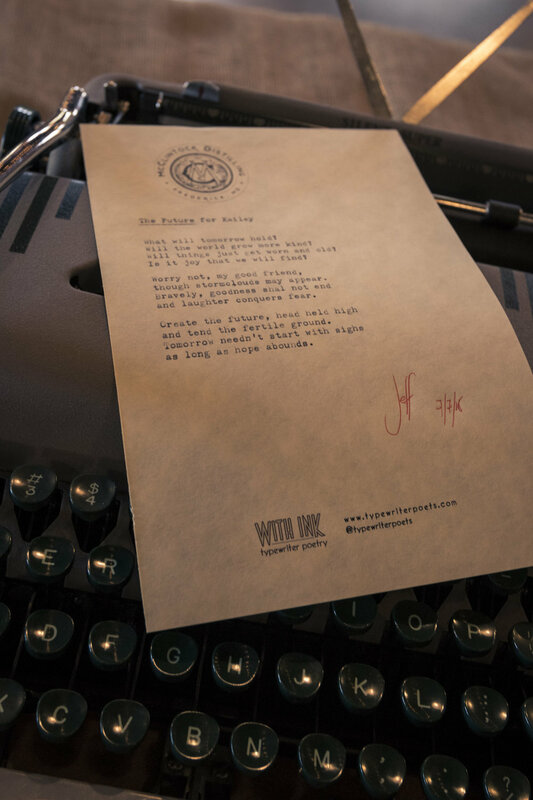 Mark and Jeff are happy to bring their typewriter poetry to your event - not only do we do street poetry at markets, bars, and events such as this, but we can also add a unique and meaningful element to your wedding, corporate event, or party! Visit www.typewriterpoets.com to learn more. Older PostWhat Holds You Back?